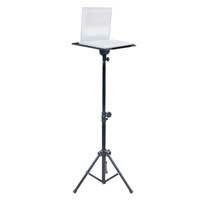 A portable tripod height adjustable laptop stand with adjustable tilt top. 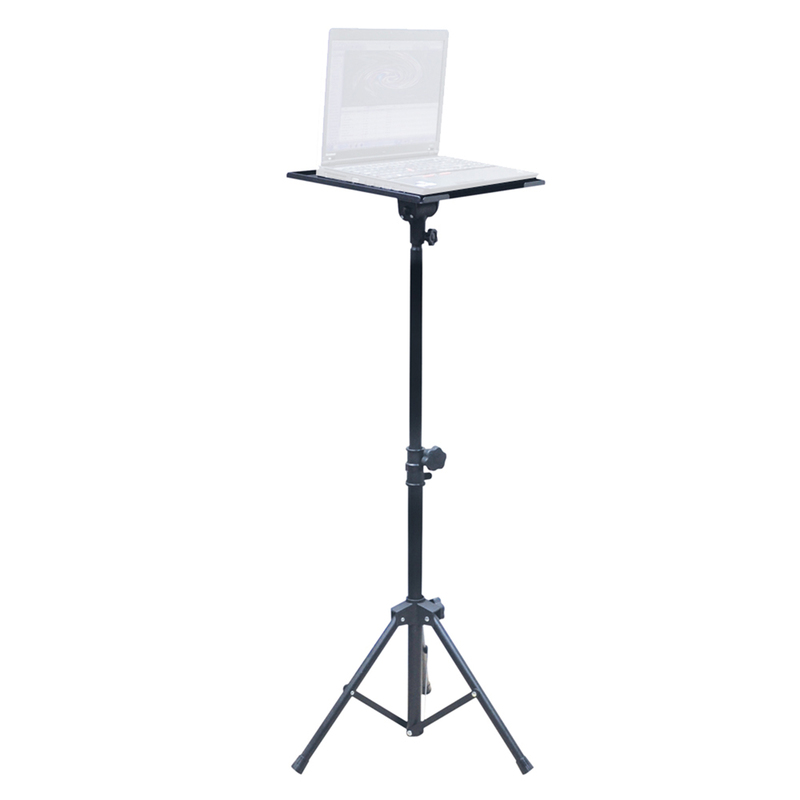 Ideal for DJs or Musicians, Presentations and the like, this laptop stand will hold laptops as well as mixers, effects units or lighting consoles, capable of holding a 15 kg maximum weight. The perfect way too keep your prized laptop safe and sound as you work your audience. Order today!